All through my professional life, I have been connected to improving something on the shop floor — be it a machine, process or a quality problem. And I have seen that it is very difficult to improve anything on the shop floor by just passing down verbal instructions or by commanding someone to do something or by conducting a training program in a classroom or handing over a well-documented piece of paper complete with all instructions and a to-do list. In most cases, people don’t get the idea. As a result, workers on the shop floor soon lose interest in the improvement process and don’t like engineers and managers who just pass down orders sitting at their desks. Respect for engineers and engineering is soon lost. And improvements don’t take place. The company suffers as a result. Respect for engineers and engineering comes from respecting the minds of workers and supervisors. This is best done by engineers going down to the area of the shop floor where the improvement is to be made and then explain what they want the workers and supervisors to do and what exactly is to be done. It can be explained verbally by physically touching the parts or equipment where the improvements are to be made or through rough sketches quickly drawn on scraps of paper to instantly clarify the points. This is a HFO (Heavy Fuel Oil) screw pump used in Power Plant for running boilers. There was a catastrophic failure of the pump. Though this pump was regularly monitored by vibration (in velocity mode — mm/sec) it didn’t give any indication of the impending failure. The screws of the pump rubbed against each other and the case hardened layers of both screws were crushed. The force was so great that the body of the pump also cracked. Evidence of corrosion was also noticed. For want of HFO oil, the plant personnel were forced to pump LDO (Light Diesel Oil) through this HFO pump for the past one year. Initiator(s) — I — factor(s), which triggers the problem — low viscosity of LDO compared to that of HFO was the significant ‘initiator’ in this case. While viscosity of LDO ranges from 2.5 to 5 cSt, the viscosity of HFO varies between 30 to 50 cSt (depending on the additives used). Use of lower viscosity oil ensured metal to metal contact thereby increasing Hertz stress that led to collapse of the hardened layer of the screws. Accelerator(s) — A — factor(s), which accelerates the process of failure — a) Indian HFO does not contain friction modifiers such as vanadium and magnesium. Their absence causes higher friction between the screws (approximately 70 times increase in friction), which accelerates the wear process. b) Moreover, presence of vanadium and magnesium additives in HFO and LDO acts as anti-corrosive agents. Notice that the failure happened a year after the management decided to pump LDO rather than HFO through the HFO pump — enough time for corrosion to take effect. So, we may say that there are at least two factors that accelerated the failure process. There are other effects too on system performance, which we shall discuss in a moment (refer “Note”). Retarder(s) — R — factors that slow down the failure process — a) surface finish of the screws b) right clearance of the bearings c) presence of chromium in the screws. Surface finish plays a very important role in reduction of metal to metal friction and also allows fluid film development. Ideally the surface finish should be between 3 to 6 microns CLA (Centre Line Average) for best effect. This can be introduced as a specification of the MOC (Material of Construction). Similarly, excessive clearance in bearings would modify the hertz stress zone or profile — both in width and depth, which would cause shear of the hard layer (depth of which depends on the type of hardening and the type of steel used) and the soft layer (core material). Depth and type of hardening might also be specified in the MOC to prevent failures and extend life of the equipment. Presence of chromium in the metal would help formation of Vanadium – Oxygen – Chromium bond which would effectively enhance the life by providing better lubricating property which in turn would ensure a high level of reliability of the equipment. Hence, once the I, A and R s are identified appropriate measures can be taken to modify maintenance plan, MOC etc to ensure long life of the equipment without negative safety consequences (heart of reliability improvement). Specify surface roughness of the screws — 3 to 6 microns (CLA). Specify depth of hardness of the screws (below 580 microns so that the interface between the hard layer and the soft core remains unaffected by the Hertz stress) during procurement and supply. Preferable type of hardening of the screws would be nitriding. Specify chromium percentage in the screws (during purchase). Monitor bearing clearance on a regular basis and change as needed (by vibration analysis based on velocity and acceleration parameters). Problems of high temperature corrosion and brittle deposits drastically impair the performance of high-capacity steam boiler of Power Plants, using HFO. Research* shows that heavy fuel oil (HFO) can be suitably burned in high capacity boilers. However, if HFO is chemically treated with an anticorrosive additives like Vanadium and Magnesium, it diminishes high temperature corrosion that affect some operational parameters such as the pressure in furnace and pressure drop in superheaters and pipe metal temperature, among others like atomization and combustion processes. 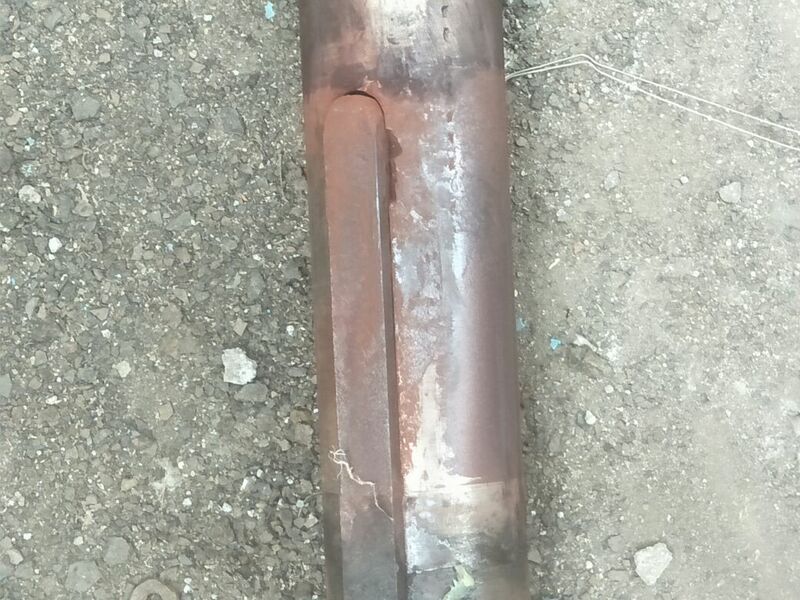 Therefore, inclusion of right additives like Vanadium and Magnesium have been found to diminish high-temperature corrosion and improved system performance. It therefore makes sense to monitor these parameters, which can provide direct information on the degree of fouling, as well as of the effectiveness of the treatment during normal boiler operating conditions. The first approach is to conduct a series of training programs along with hand-holding. During such programs, participants apply the concepts discussed in the programs on the critical machines to modify the existing maintenance plan or methods to improve equipment reliability over a period of time. It is effective if the organization fulfills two vital conditions. First, the organization has in place a reasonably competent condition monitoring team and the use of condition based maintenance strategy is quite widespread in its acceptance and application throughout the plant. Second, the number of failures/component replacement in the plant in a year is not more than say 60. We would call this method — The Interactive Training Method. The second approach is a more hands-on, direct and intensely collaborative. Each critical equipment is thoroughly examined in its dynamic condition to find out its inherent imperfections that cause failures to happen. Such imperfections, once identified by deep study, are then systematically addressed eliminate the existing and potential failure modes to improve MTBF and Safety. Based on the findings, the maintenance plan is formulated or appropriately modified to sustain the gains of implementing the findings. This activity is to be done during the program. This approach is effective when the failure rate in the plant is random and high (more than 60 failures/component replacement in a year) and/or maintenance load is heavy and repetitive along with high maintenance cost in spite of having a reasonably equipped condition monitoring team in place. We would call this — The Deep Dive Approach. Outline of the two methods: — The processes involved along with approximate costs. 1. Such training sessions are conducted once every two months for a duration of 4 days each over a period of 24 months. 4. Subsequent paid audits to refine the process would be optional — after the completion of 24 months intervention period. Such interactive sessions would be conducted once every two months for a duration of 4 days each over a period of 18 months. 2. Each interactive session of 4 days duration would focus on one critical equipment at a time. In total 9 critical equipment would be covered during the 18 months period with a selected group of people, assigned to the project of improving reliability. During each sessions each of the critical equipment would be examined deeply and in totality to find the inherent imperfections that cause different failures in the system.Once, these imperfections are identified, time is taken to appropriately address the “imperfections” and simultaneously formulate or modify the existing equipment maintenance plan for sustaining the gains on an on-going basis. This collaborative activity would be done during the program. In this process, participants learn by doing. 3. In total there would be 9 visits to the plant. During each visit one critical equipment would be taken up for the deep dive study taken to its full logical conclusion. Number of participants = 10 maximum. 4. Subsequent paid audits of the progress is optional.- after the completion of 18 months intervention period. In a plant it so happened that a machine with its shaft and pulley assembly was kept idle for little over three years. Then one day the engineers decided to run the machine. After two months of running, the pulley came loose on the shaft and started rattling – making just enough noise for the operator to notice it and promptly stop the machine thus averting a nasty accident. This is a case of fretting corrosion. This happens when things are kept in assembled condition for long without running or components are assembled loosely. The asperities at the contact surface that help to hold two components together are lost; thus loosing the vital grip forcing the components to come loose. 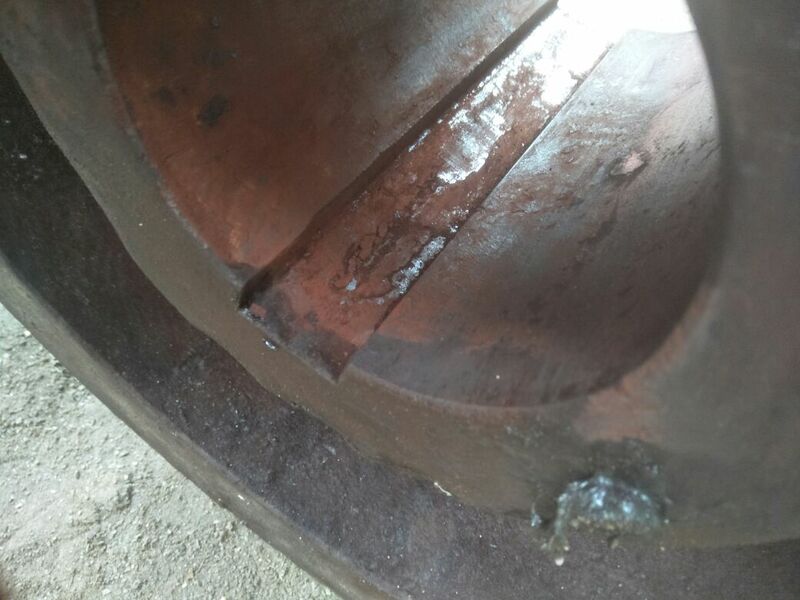 This wear process is accelerated in presence of low frequency vibration that usually travel to such joints por assemblies from other running machines. The confirmation of fretting corrosion lies in observing reddish coloured powder in between the closely fitting joint interfaces and assemblies. 2. Don’t leave a machine idle for a long time. 3. Prevent, as far as possible, low frequency vibrations to travel to a machine. 4. If an idle machine is to be commissioned then take care to inspect the joints and interfaces and replace assemblies as found necessary. 5. May be monitored by Wear Debris Analysis for lubricated joints and interfaces and by vibration monitoring for dry joints and interfaces or simply by visual monitoring. We can say, that when we put these two phenomena into a relationship or when we discover a pattern involving the two phenomena, we have effectively understood the essence of a vibration problem in order to solve it or improve the situation. Without the “induced force” a piece of machinery would not continue to vibrate. And without “freedom for movement” machines would not vibrate either. Both must be present for a machine to continue to vibrate. However, I find that students of vibration analysis often face difficulty in understanding these two related phenomenon and have a hard time linking them into a coherent pattern exhibited by a vibration problem. There are many ways of classifying vibrations. Vibrations patterns are also described depending on how they are induced. This is an important way of classifying vibration since the cause of vibration can be easily understood from such classification. For instance, a shop floor may vibrate when a machine is switched on. Or an adjacent machine or structure may vibrate when another machine on the same floor is running. This would be called machinery induced vibration. Similarly, a bridge or a tower may be subjected to strong winds causing those to vibrate. In that case, it would be called wind induced vibration. Or for example, a pipe carrying fluid in a power plant or a pump may be subjected to flow induced vibration. Common problems of pumps like cavitation, re-circulation, erosion and water hammer are all examples of flow induced vibration. Likewise, unusual vibration of an anti-friction bearing may be induced by electromagnetic forces emanating from electrical cables. We would say that the bearing is subjected to electromagnetic induced vibration. Similarly, vibration of machines, buildings, towers, bridges can be blast induced owing to sudden application of explosive forces, like the way it happens in mining industry. In the case of earthquakes, bridges and towers are subjected to ground induced vibrations. We may think of “induced force” as the necessary stimulus imposed on a structure that forces it to vibrate. Structure, from the vibration point of view, may be a piece of machine, building, tower, pipe, bearings, foundation — or simply anything that has stiffness and mass. One easy way to find it out is by finding the number of natural frequencies exhibited by the machine. This may be effectively found out by conducting a “bump test” on the machine where the number of natural frequencies show up on the frequency spectrum. The number of natural frequencies is just equal to the number of directions a machine is free to move. For example, if a machine has five natural frequencies within the operating range that consists of the operating speed and its harmonics then the machine is free to move in five different directions. So, when we know the nature of the induced force and the number of directions a machine is likely to move, we may then try to find the proper relationship between the two phenomena to complete our understanding of the essence of a vibration problem. Once such relationship is understood the solution(s) to a problem is self evident. Every year we gather at NTPC, Noida, for our animated dialog on real life Vibration problems. This year there were 39 of us happily engaged for four fun filled days. It is a type of annual conference where engineers and practicing vibration specialists across the country come together to interact, exchange and learn from each other. This year, the workshop was designed differently. We gently moved away from the traditional methods of vibration analysis and instead emphasized the application of complexity science in analyzing system problems through vibration patterns. I think this approach is the first of its kind in the world. First, only cases from the real world of engineering were discussed and explored. Twenty cases were discussed. Each case was unique. They were something like Zen koans waiting to be cracked for enlightenment. There are two sides to reality. One is the phenomenal one — what we can sense. The other is the essential one — what we can’t “see” through our senses. The phenomenal side manifest as events that we experience while the essential side provides the cause that precipitates such events. Problems of vibration offer us the opportunity to explore both sides of reality. Through measurements, we can easily see the phenomenal one (the degrees of freedom, amounts of vibration and their frequencies) — that is all about sensing oscillatory movement and its nature. But to understand the cause of vibration we must be able to “see” the essential part of reality – what induces vibration? The cases forced the participants (practicing specialists) to take multiple takes and interpretations of the cause of vibration before the reason finally clicked. Initially, each case left the participants perplexed.They sort of provided the proverbial “whack” on the head for realization to dawn. Why is this so? Cracking one problem does not ensure that the next problem can be solved by following the same method. If one tries to use the same method that helped one to solve a problem one has to use thoughts and concepts culled through previous experiences. By trying to apply a standard method and tactic one can’t see the essential part of the reality, which often proves to be a frustrating experience. Any effort to solve a vibration problem with a standard approach ties up a practitioner in knots. Not surprisingly, even vibration specialists find vibration problems paradoxical. They are paradoxical in the sense that seemingly logical, rational and conceptual thinking held in the minds of a practitioner are challenged when dealing with vibration problems. Therefore, for each case, the essential part — the induced cause(s) — had to be built separately — bit by bit — connecting one bit to the other till the essential nature of the problem was self evident. At the end of the four days the participants were left smiling, relieved to know that they need not remember any standard method or approach or a formula to tackle vibration problems — more so, for the most complex ones. They only need to see through a problem with patience or perseverance to develop deep intuitive capability, which would then help them see through the essential nature of any real life vibration problem quickly and accurately. On the whole it was great fun and we all basked in the enjoyment. Note: In conducting this course, I was helped by Mr. Anil Sahu, my co-facilitator. He had a bunch of paradoxical cases to share. From 21st June to 23rd June I conducted a live workshop on Streamlined Reliability Centered Maintenance (SRCM) at the Power Management Institute (PMI) of National Thermal Power Corporation (NTPC). But what the heck is SRCM? It is a structured process of risk based decision making against black swans. How to detect an incipient black swan in time? How to improve the stability of a system? How to improve the longevity of a system? How to mitigate consequences of failures? When we are able to do all that to a system we may call it “smart maintenance.” After all as human beings we create, maintain and destroy systems. Given a system, smart maintenance is about doing all the three – create, maintain and destroy. Surely, it is one of the most complex project management we can engage with. However, the smart maintenance can really happen when one simply does nothing yet everything is done. Within the next five years the ability to solve complex problems would be the number one skill people would be desperately looking for. In this post, we focus on the skill of critical thinking. To do so, we draw inspiration from ten examples of critical thinking and critical thinkers that changed our world and our world views. Why Not? An Engineer’s View of Recession. Every company I visit, the picture is the same. No sales. No customers. Cutting costs and production to survive. People are not willing to buy products and services at the prices they are offered. GDP keeps fluctuating. Government keeps reassuring with false promises. Stock markets dip. Wars and conflicts escalate. Jobs are lost. Companies go bankrupt. With reduced expectation of sales, no new products and services are in the offing. Prime Minister urges for innovation, which is not happening. Overall, it is a gloomy atmosphere in India. But the consumers stay nimble as always. They are busy re-framing their problems according to their budgets and now coming up with new solutions and new expectations. It doesn’t mean that the consumers are only busy figuring out cheaper ways of doing the same thing. They have different things to do and want to do it differently. The consumers still want to go on holidays, eat out, entertain guests, buy curtains and shoes, beautify home, build new ones, sleep better, stay healthy and bear children — but differently. This then opens up a whole new world of possibilities for manufacturers, service providers and financial institutions — if only they care to see the consumer a little more closely. This is simply because the existing needs of the society have not vanished – nor would they. These still need to be fulfilled. So, when the economy is down people simply look to different product categories to solve their persistent problems and needs. They do make trade-offs that reflect their conscious and unconscious decisions. The question is: Will a modern woman stop wearing her lipstick? Will Indian families stop saving money? Will they stop buying gold? Will they stop watching the TV? Not likely. So, here is a world of opportunity. While companies are only focused on cutting back production and costs, the consumers are busy with their own imagination and initiatives to keep them one step ahead of the companies. This makes it all the more important for companies to use their imagination and technology to step in and catch up with the imagination of the consumers. Though this recession will be much different from the last the consumers will come up on top. And why is it so? Because consumers are now familiar with both the high end and the low end brands. They have a choice of Bata, Kadim, Shreeleathers, Reebok and Nike. They would not feel a bit shy or embarrassed to go for budget shopping and go to anyone who greets them with a choice within their budgets. They are now masters of favorably mixing or toggling between high end and low end brands for their various needs. So companies that rely on lethargy and not love for the consumers might become a thing of the past – a dinosaur. Economics tell us that “labor follows money.” The same is true of consumers. They would follow budget prices without any hesitation. So, keeping up with the consumers is not about predicting the next big need or the next big move or great market research. It would mean a deeper understanding of their present needs and how to respond as creatively as possible. This is because consumers are only re-framing their problems – not forgetting them for good. So, companies who understand how people with tight budgets re-frame their problems may not only find new opportunities but also figure out ways to earn respectable profits. Thinking and feeling about people’s needs can uncover ways to get into markets that once seemed inaccessible or even unimaginable. For example, the Re 1/- shampoo sachet — shampoo companies are now ever so busy selling them all over India. And as I know they are expanding the business even in these trying times. They are adding more sachet machines (I am proud that I designed those budget machines) to their facilities. And they are still hungry for more. Other examples spring to mind. For example, why take the trouble of making grade 53 cement only to sell it at a premium? People can very well do without this. Even the toughest roads are built on grade 42. So, why not make grade 30, for instance, for making dwelling houses. It makes housing affordable. Why the steel companies don’t think of manufacturing rods of lesser diameters than they presently produce. The builders then get it cheaper and the houses that are built with such rods would become stronger and more robust in both tension and compression. And the consumer would also be happy to buy such houses and not default on house loans to heat up the economy. Similarly, why not sell cheaper power during night time so that people may run their washing machines to wash their clothes in the late evenings and use air conditioners to get a good night’s sleep only to be more productive the next day. It would also encourage consumers to use more natural light during the day and the the power that is saved by ordinary consumers might be gainfully used by industries to produce goods and services for the market and the power companies profit more from it. This might as well save us the trouble of building extra power plants for the time being, when money is short supply. Why do we waste material to build something solid when a hollow section would clearly be better (example, rubber liners used in mining industries). And why use costly steel or aluminium as reinforcement for rubber products when humble jute fibres do the trick better (one of my ideas tried out with great success by a rubber company). Why make the walls of the gear box casing thick and heavy and waste money — clearly it could be made thinner. The customer pays less and the efficiency of the gear box increases greatly (another idea of mine which proved profitable for the company). Why place sleepers under railway tracks symmetrically? It increases wear and tear of railway tracks, points and crossings and the maintenance cost goes up, which forces consumers to pay more or Government absorbs the cost. So, why not place the sleepers axi-symmetrically? It makes everyone happier. Lesser costs. Lesser risk of accidents. Why wrap steam pipelines with equal insulation thickness when variable insulation thickness makes the job more efficient and cost effective. It reduces loss and prevents failures. Why can’t the nozzles of toothpaste tubes be smaller. Less waste. It prevents health problems. Saves the environment. Makes it affordable for most. In every case, the consumer pays less but companies benefit and survive better. It is clearly a great opportune moment in history for a win-win situation — saving and sustaining the environment, helping consumers to tide over the crisis and surviving better in trying times without destroying the morale of the people by sacking them or closing down industries. Hence, this recession may just be the right environment for experimenting with small changes that target big needs. Innovation is all about making small changes to make big and lasting social impacts. Why not open up to immense possibilities around us? Expert Knowledge is Passé; Long Live Masters! Engaging with flow, created by any phenomenon, is an essential step that we take to create something new, which invariably amounts to an interpretation of our environment or surrounding triggered by noticing something from the higher levels of the mind that is less dependent on sensory inputs. Since our mind is a system consisting of complex networks it has memory like all other networks. Memory would then compel the network (our mind) to behave in very predictable patterns i.e. it would continue to behave the way it does unless the energy of the system is changed by design. It would mean that our response to any situation would stay the same unless we add new energy to our existing network urging it be respond or behave differently. That is the basic idea of engaging with the flow — to add new energy to our neural network to come up with a different response to a situation we are facing in the moment. But that is tricky business. Much more tricky than we might care to imagine. It is because we must notice in quick succession (almost as quick as clearly noticing a ten digit telephone number) for our neurons to get energized enough to rise above their critical threshold limit to create harmonious oscillations, helping us to create new knowledge and response. Fortunately, our neurons, under this situation of noticing different aspects of a phenomenon in quick succession, produce different frequencies from moment to moment, which helps to create new responses. However, to produce useful and new harmonious frequencies our mind also needs to be supported by a healthy relaxation oscillations. Relaxation oscillations help us absorb new learning. Relaxation oscillation in the brain is something like this — neurons slowly absorb energy and then quickly release the energy. This new release of energy helps neurons to jump over their critical threshold limit to create harmonious oscillations. Let us understand this process by some live examples. For example, Sachin Tendulkar is considered the ‘god’ of cricket. For him, captains and bowlers of rival teams have a hard time setting a field to hold him down. He always tends to find the gaps too easily against any type of bowling. It is easy to imagine that he is quickly noticing so many aspects of the phenomenon — the bowler, his run up and stance, his delivery, speed of the ball, trajectory of the ball, movement of fielders, etc in quick succession (really quick since the ball is traveling at a speed of nearly 100 km/hour). Within that time he decides where and how to place the ball to get runs, which is invariably between the gaps in the fielding. Or take Ravi Shankar, the great musician, who plays so intuitively. To me intuition is nothing but the same process as described above, where new harmonic oscillations are produced with the help of relaxation oscillations. Or say Michel Angelo who saw entrapped figures trapped in uncut stones waiting to be freed by his hands. There is one thing that is common to all of them which sets them apart from the rest. They all intuitively find the gaps or the existing imperfections in the present moment with their uninhabited awareness to reach their goal. This is because all human minds by default are goal oriented since human consciousness is more temporal than spatial. They improvise their games based on those gaps or existing imperfections in the most intuitive way — no copy book styles for them. They have learned the rules of their games so well that they now break them with impunity by mastering the way to trigger relaxation oscillations at will. This process of engagement is played over and over in whatever game masters choose to play. Games differ but the process of engagement does not. This is what innovation, improvisation, improvement, creating new knowledge is all about. The Japanese have a name for it. They call it Wabi -Sabi, which means understand the imperfection in a given situation and improve upon it to make it stronger and more reliable. The Chinese have a name for it. They call it Shan Zhai, which originally means balancing numerous resistances, see what is possible to be done cheap and effectively, start small and then grow in strength. The Indians have a name for it. They call it Juggad, which means understand what is to be done, start with whatever is available at hand, go with the flow and build up over time. How would this be useful in present times? Today, expert knowledge (essentially a knowledge bank) is sold in the market as a commodity that is continually being sold at lesser and lesser price wiping out premiums that they once commanded. It is so since expert knowledge is increasingly being converted to cheap ordinary stuff through algorithms. In some fields of human activity the value of expert knowledge is almost zero — given freely over the internet. Then how are we to survive in the present situation. It definitely calls for a new skill – the skill of mastery, where new knowledge can be created moment to moment. This amounts to present moment responses to a changing situation. People who can really do that are priceless and can still command a premium in today’s market place. Such skill of mastery basically calls us to be in touch with one’s essential nature. Gregory Bateson reminds us of this fact when he said, “When man lost touch with nature, he lost touch with himself.” Simply stated, “losing touch with himself” is disengagement – a phenomenon that is so common in our professional world. How do we develop that is the question? Understanding that involves deep learning. And deep learning is done by power of engaging with the flow of the moment.